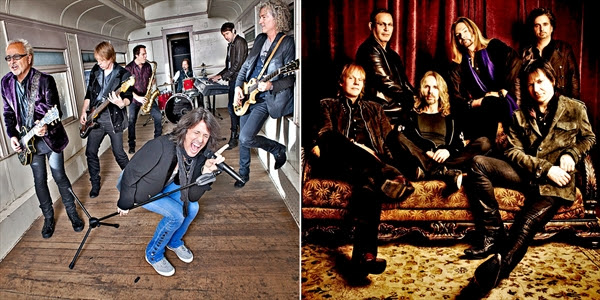 Styx and Foreigner are performing together in Camden for one night only as part of “The Soundtrack of Summer Tour,” and tickets are now up to 40% off. The popular rock bands are best known for hits such as “Mr. Roboto” (Styx) and “I Want to Know What Love Is” (Foreigner). Styx became famous for its albums from the late 1970s and early 1980s. They’ve had 16 top-40 singles on the U.S. charts. Foreigner is a British-American rock band that formed in 1976 and is one of the world’s best-selling bands of all time with sales of more than 80 million records. Special guest Don Felder, former lead guitarist of the Eagles, will also perform. Review order and click “Continue,” then choose a delivery method and click “Continue” again. Create an account or log in to book. Fees: Additional fees of $5 per ticket will apply.